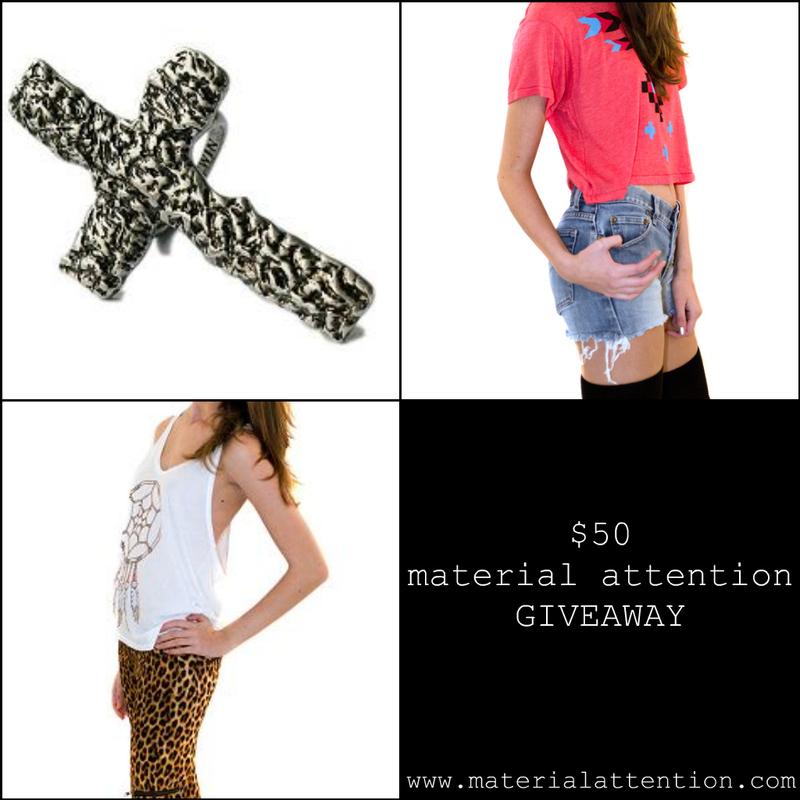 devorelebeaumonstre.com | Pittsburgh, PA | Fashion & Personal Style Blog by Stacey Belko: material attention giveaway. Happy Monday bay-bees! What better way to start off the week than a giveaway? Material Attention is graciously giving away a $50 store credit to one of you fineee readers. Since I'm constantly teasing you guys with all the goodies they send me, now's your chance to get some of your own. & if you can't wait until the giveaway ends, you can also get 15% off your order with the code 'BLM15'. Check out Material Attention HERE. Follow @Material_Attn on twitter HERE. 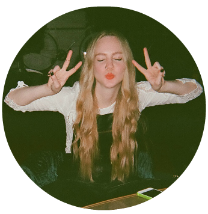 Make sure you're following my blog via Google Friend Connect & Bloglovin'. Giveaway will be open until Sunday, June 26th & a winner will be selected using random.org. I want the cross ring! Lovely giveaway, I'm following on GFC, bloglovin' and twitter (elnrsmith). everything is oh so cool.,but definitely would use this giveaway to buy the quinn studded satchel bag!! ooooo they have awesome stuff. Following on twitter as aetherlily. awesome give-away!! I follow you through GFC :) I also love your style so much, great blog! Following! What an awesome giveaway!! i would take one of the cropped tees and a cross ring. Loved the shop! thanks for your lovely comment on my blog! good luck for the giveaway participants! And I will also be featuring this giveaway on my column at Examiner.com/Cleveland. i blogged about the giveaway on my blog. awww i don't have twitter but i'm following ya on google & blog lovinn. I don't have twitter, but I'm already following you. That's a very nice giveaway!! Good luck girls!! Thanks for the sweet comment on my blog. :) Great giveaway!! I'm following you on blog lovin' and Material Attention on twitter (via @hopevictoria). I did everything and I facebooked this giveaway! Love this! I have a similar ring. Good Luck everyone! How do you get them to just give you stuff ? i'm pretty sure i could make quite the comfy little home for the needs of a few shoulder "shields" to rest on in my closet's contents ... pretty sure indeed. oh. and i'm happily a-followin' thru twitter, the good ol' gfc and bloglovin', bay-bee. I'm now following you on Google Friends Connect, Bloglovin' and Twitter ! That's so amazing what you're doing. I totally want Material Attention's long rose vest! I have followed you and i would love to enter. Thanks for commenting on my blog (weirdclothes.blogspot.com) and telling me about your giveaway! I am following on twitter (I am @prillamon) and on bloglovin! I'm already a follower :) ! hi, thanks for alerting me to your giveaway, would love to enter. You always look like you're about to cry. Do something new. the ring and shors are so cool! thanks for stoping by and leaving a comment. It is cool blog..... I really love fashion and the dresses are really beautiful. Fabulous and superb post on fashion related terms. Thanks....!